This is what it looked like when U.S. soldiers say when they liberated the Dachau concentration camp, freeing tens of thousands of prisoners in April 1945. Silent footage taken by the Allies of the liberation of Dachau concentration camp. On April 29, 1945, freedom finally came to tens of thousands of Holocaust victims who were trapped in southern Germany’s Dachau concentration camp. 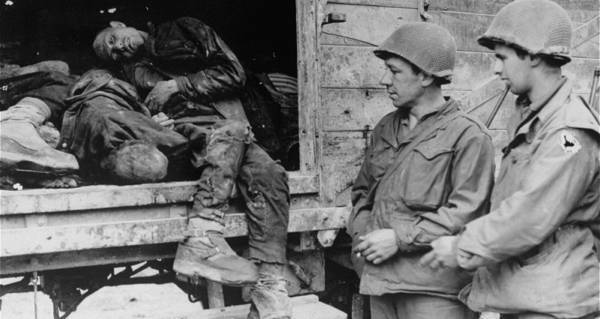 That day, U.S. troops marched in and liberated what was the first and longest-running concentration camp of the Nazi regime. At the time, because Allied forces were tightening their grip on German forces, more and more prisoners were transferred to Dachau from camps nearer the front lines in April 1945. 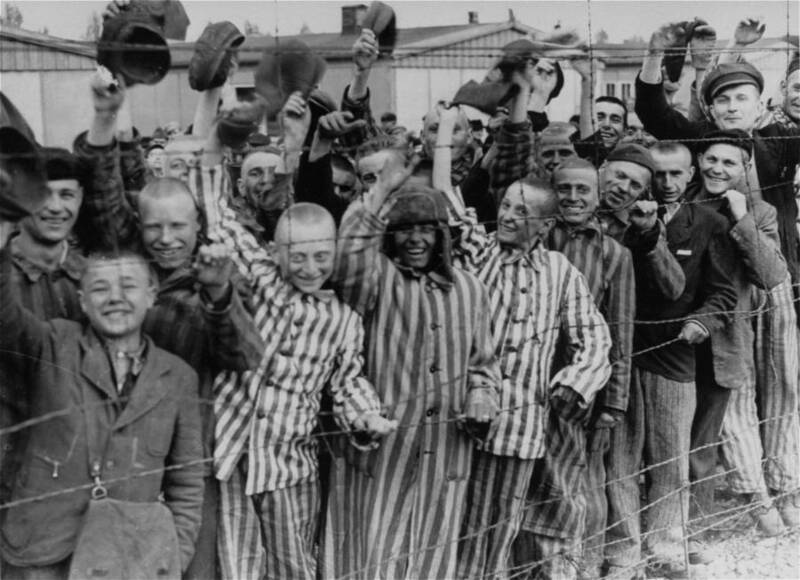 When American forces liberated the camp, more than 67,000 people were registered in Dachau’s central camp and several satellite subcamps in the region. An estimated 32,000 people were freed from the main camp when the 42nd and 45th Infantry Divisions of the 20th Armored Division of the U.S. Army took control of Dachau. Beyond that group of prisoners, there were still others left to rescue. Several days earlier, on April 27, 1945, German guards began marching some 7,000 prisoners out of the camp toward locations in the south. But after liberating the camp, U.S. troops ran down the death march and freed those prisoners as well. But most of the work, of course, came within the camp itself. Dachau had had a long time to inflict such horrors upon its prisoners. It was the first Nazi concentration camp meant to hold political prisoners in Germany. Wikimedia CommonsSome of the young prisoners of Dachau, newly freed by American troops. By the late 1930s, the camp held about 5,000 political prisoners. Dachau then served as a training ground for Nazi personnel stationed at other concentration camps as the regime’s anti-Jewish crusade grew. Furthermore, Nazis at Dachau used Jews as human guinea pigs to test exposure to things like grisly diseases and freezing temperatures. When not subject to such horrors, Dachau’s prisoners faced relatively routine torture, including starvation. Dachau survivor Paul Schneiderman, recounted that when a “deranged” prisoner would yell “bread” in a crowd, they would fight each other over a scrap of food. Only afterward would the delirious and starving prisoners realize that the bread never even existed. On the day of the camp’s liberation, Schneiderman was in a train car being used by Nazis to evacuate prisoners before Allied troops arrived. Suddenly, Nazis sprayed bullets at the car, killing some of the people next to Schneiderman. He and a buddy hit the deck and survived. As quickly as the bullets began, they stopped. Wikimedia CommonsAmerican troops prepare to execute Nazi personnel at Dachau following the camp’s liberation on April 29, 1945. Upon liberating Dachau, American troops found a line of 39 railroad cars near the camp, most of them filled with dead bodies. 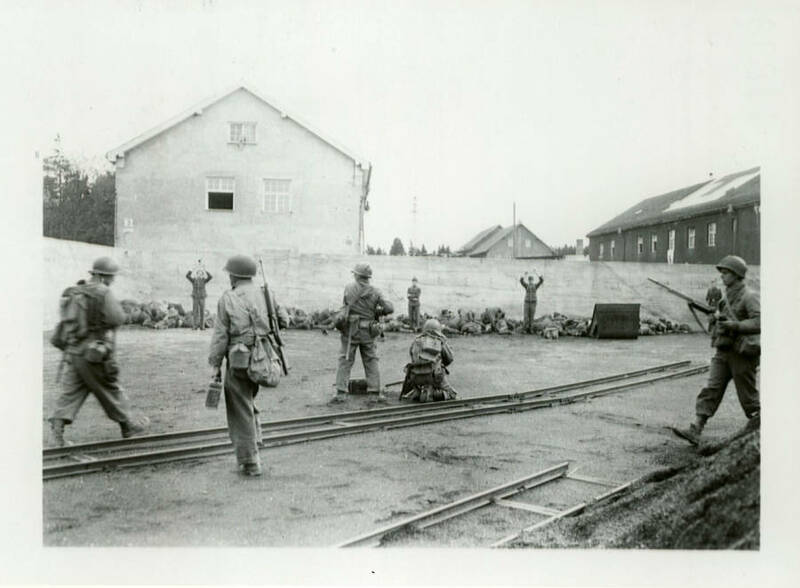 Overwhelmed and enraged, American troops could be heard shouting, “Let’s get those Nazi dogs.” Then, after lining up about 50 guards, soldiers yelled “Take no prisoners” before opening fire with machine guns in what’s since become known as the Dachau liberation reprisals. To see just a little of what those enraged American troops saw on the day of Dachau’s liberation, view the gut-wrenching footage above. Next, take a look at some of the most powerful Holocaust photos ever taken. Then, see photos from history’s first concentration camps during the Boer War.